Where can I find my Realtime application key (appkey)? 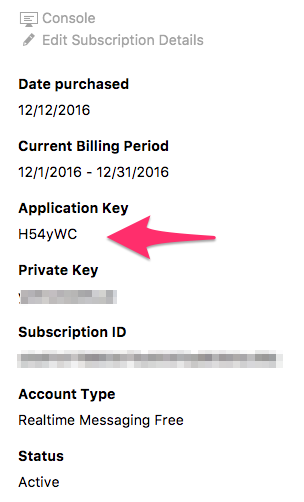 The Realtime application key (aka appkey) is a 6 characters unique identifier of your Realtime subscription. After you get your validation email click on the email link to validate your registration. 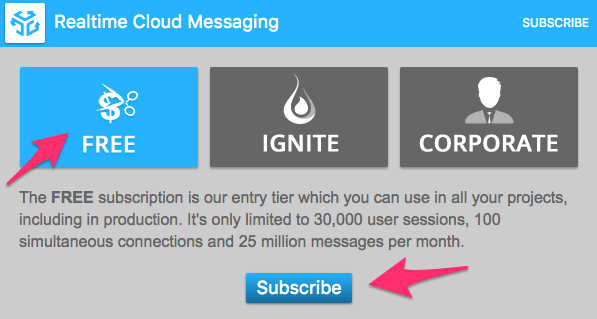 As soon as you're logged in click the option Add subscription. Give your new subscription a name so you can easily identify it on the subscriptions list and click the Create my free account button.